When painting a portrait, an artist (or his or her patron) can make several decisions which affect how the sitter is presented. Whilst a portrait can seem "lifelike", we need to remember that the techniques we have discussed in earlier parts of this course all affect the ways in which we see portraits, and alter the ways in which the sitter appears. A portrait even when it appears lifelike is always affected by aspects such as composition, material, techniques of modelling, colour. There are also some specific distinctions to be drawn between types of portrait. Most obvious is the distinction between different lengths of portrait, and different viewpoints. In this unit, we'll consider two very different portraits. 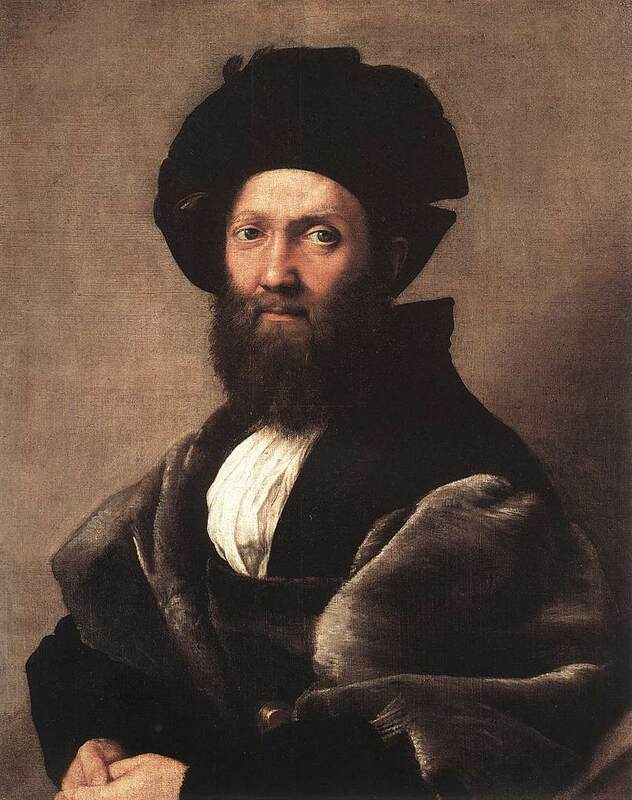 Look at Raphael's portrait of Baldassare Castiglione (1514-15): click here (external link). Consider the following aspects of the painting. What are the dominant colours used here? Has a broad palette been used? Are the dominant colours analogous or contrasting? Analyse the use of light. What effect does the background have? Look at Picasso's Weeping Woman (1937): click here (external link). How does this painting create an impression of movement? Consider the composition, the force lines, the outlines of objects and figures, the colour, the brushwork.